Neymar the most valuable player in Europe, study finds…. 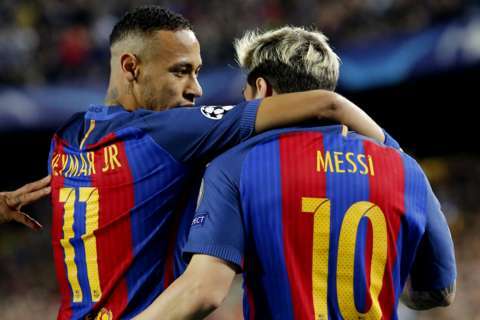 Brazilian striker Neymar is the most valuable player in Europe – worth about £216m – according to a new study which values 10 players at more than 100m euros. Barcelona team-mate Lionel Messi is valued by academics at £149m while the only England players in the top 10 are Tottenham duo Harry Kane (£122m) and Dele Alli (£96m). Paul Pogba, who joined Manchester United for a record £89m in the summer, is valued at £136.4m. The study has been carried out by a team of academics from the CIES Football Observatory, using a transfer value algorithm. They have calculated the value using criteria that includes player performance and characteristics, such as age and length of contract. ← Robben signs new Bayern deal until 2018….